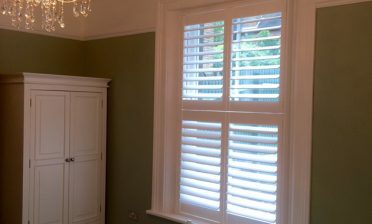 We are often approached by clients looking for us to design and install shutters for their awkward sized or angled windows. This particular window design in South Croydon was very unusual and a new challenge for us to take on! One of our fitting technicians Ben was on hand to carry out the installation. Other companies had told the customer that it was not possible for them to carry out the work due to the shape, but here at ShuttersUp we pride ourselves on being able to offer a truly bespoke installation for any type of window we encounter. With the special requirements in mind, we used white teak from our Sumatra range to tackle the build as it is a hardwood which is unlimited in custom shaping and a true favourite among wood carvers and joiners. It is also a light weight material so perfect for the customer to operate each panel. 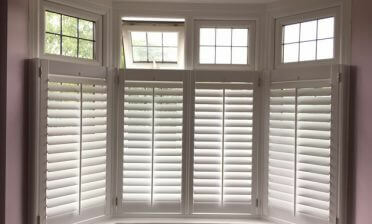 The shutters were made in a full height style with midrail two thirds of the way up and feature 76mm louvres. All panels have a silent tilt rod system which makes adjusting the shutters easy through touch, rather than having to use visible rods. They were then finished in pure white paint with matching white hinges. 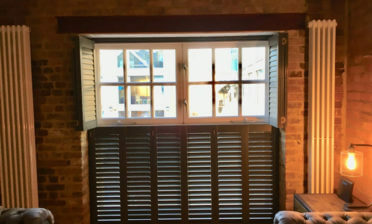 Although designing and installing these shutters was more challenging, they were still installed with pinpoint accuracy and finish that you can expect with all our shutters. 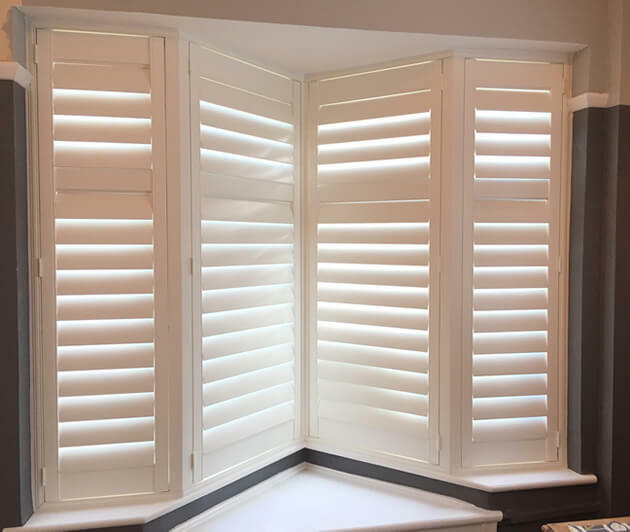 They have been designed so that they can be opened, closed and adjusted throughout in the same way all our other shutters can.